So I read this interesting article today about using laughing gas instead of other traditional means to help with labor pain. I found it fascinating. It is not supposed to take away the pain but the patient is so out of it she does not care she is in pain. Laughing gas (or nitrous oxide and oxygen) is often used in dental procedures to help patients have less anxiety and discomfort without being completely sedated. Yeah... I'm not sure if I'd choose this option even if it was presented to me during labor. It may be nice to have this option though if for whatever reason an epidural is not available or unable to be done in time. The article also notes that some folks who want to go all natural can choose this option for a short period to ease discomfort during a rough patch. And as a side note... kudos to all you out there who have gone all natural or plan to for labor. I like my epidural. You can click on this link if you are interested in the actual article. Congratulations to Janet Miller who won the M90z contest here on PhysicianMom.com. With increase in abdominal girth and pressure pushing up against the stomach, there is just less space to digest huge volumes of food. Therefore, where in the first trimester eating is difficulty due to nausea I find this trimester, eating is difficult due to limited space. - avoiding your usual foods that exacerbate reflux like mint, caffeine, chocolate, tomato based foods etc. I especially experience this when I'm climb out of bed in the middle of the night to head to the bathroom. Often I find myself bracing myself with my arms and needing to take small baby steps until I work out the kinks. Sometimes the pain shoots down my legs. I probably could avoid or alleviate a lot of this discomfort if I would exercise more and use heat to relax the muscles. This usually occurs in the middle of the night when I'm stretching my legs. Ouch! It can be quite painful. When this happens I know I'm not drinking enough fluids. Eating more bananas and foods high in potassium would probably help as well. These actually can be pretty painful. It basically feels like tightness across the belly and can usually be relieved with hydration. Warm baths, changing positions, deep breathing are all measures to help relieve the discomfort. However, one needs to be careful because sometimes these are hard to differentiate from real contractions which may be early signs of preterm labor. When in doubt and you are getting these more frequently or intensely, you should call your physician. Whether it is from constantly needing to get up in the middle of the night to go to the bathroom or simply the difficulty of finding a comfortable position to lie in... sleep is interrupted. It is too bad because both my other girls are actually sleeping through the night these days. Few more weeks and I'll soon have a newborn to wake up to every 1-2 hrs. Now based on the amount of kicking I feel in the middle of the night these days, this kid is probably not going to sleep very much during the hours of the night. So these are some of the discomforts of pregnancy that I experience and that some other pregnant moms have come to me for. Again some folks have a fabulous 9 months of pregnancy all glowing and symptom free. I think it helps to know what may be experienced so things can be done to either alleviate or prevent the symptoms. The winner for the Lenovo ThinkCentre M90z contest has been selected and contacted. Upon confirmation, I will announce the winner by Friday, April 29. Thanks for all who have entered. There are still drawings going on. Click here to check out the other sites. Goodluck! Will let you all know if I have future random drawings for free stuff! Here's your chance to win a free Lenovo M90z all-in-one PC that includes a 23" touch-screen! I'm running this contest from April 16 to April 20 here on PhysicianMom.com and we're giving away a brand new M90z that will be shipped to you at no charge. Your full name (which ought to be the same as your Facebook name). Why you hope to win the M90z touch-screen PC. Remember that you can qualify for up to 5 entries to win by "liking" all 5 of the Facebook pages listed above. This contest is open only to legal residents of the 50 United States and the District of Columbia who are 18 years of age or older at the time of entry. A single winner will be selected at random and announced on Monday April 25, 2011 and I plan to contact the winner through Facebook. An announcement about the winner will be posted by Friday April 29. There are 26 other blogs that are giving away an M90z, so increase your chance to win an M90z by entering in all the contests. You can find a list of those 26 websites here. Here's your chance to win a free computer this month! Lenovo is giving away 26 of their M90z all-in-one PCs over the next 2 months and you can win one here on PhysicianMom.com! Click here to read my previous thoughts on this machine. On April 16, the contest will open up on this site and it will run until April 20. The prize will be a free Lenovo M90z which is a touch-screen 23"all-in-one business PC that runs Windows 7. On April 16, I will publish a blog post that outlines the specific details of the contest. I was going to post this a few weeks back but due to illness I had to delay. Around the time of the whole Japan earthquake crisis, I decided that praying for Japan might be a good way for me to introduce the concept of praying for other countries to my three year old. After all, I would like her to develop a world view perspective. Up until now, we've been praying pretty consistently at night and she has gotten down the concept of praying for herself and even for the people around her that she knows (mommy, daddy, sister, grandparents, even friends..) I was not so sure whether she'd get the concept of praying for someone or something she is not daily in contact with and was amazed at the results. I tried to keep it simple by telling her that we should pray for Japan because there was an earthquake which made a lot of houses fall down so many little boys and girls lost their houses. Boy did she have a lot of questions. "Why did the houses fall down?" "Well, because there was an earthquake"
"Why was there an earthquake?" "Why our house didn't fall down?" "Because there is no earthquake here"
"But why there is no earthquake here"
"Because God didn't let there be an earthquake here"
"Why did God let there be an earthquake in Japan?" "Well... sometimes God let bad things happen... but that's why we have to now pray and ask God to help those in need..."
"Dear God, please help Japan because she doesn't have a house. Please let there not be anymore earthquake so her house doesn't fall down. Please help Japan feel better. in Jesus name, Amen." Then she asked me if we could invite Japan to our house since "she" doesn't have a house (think she thinks Japan is a person). I tried to explain the concept that Japan had a lot of people in it because it was a country and that they would not all fit in our house. She then tells me that maybe some of the people can go to a friend's house. I was just so tickled and amazed by our whole conversation and I didn't know I was going to get all that from just introducing the concept of praying for Japan. So for a couple of nights in a row, she would voluntarily offer to pray for Japan. My mom tells me that when she was babysitting while I was at work, my daughter even told her all about Japan and the earthquake there. It has been a while since I've blogged and part of the reason is because my family has been fighting one sickness after another and I'm just tired. It's hard enough to be sick but harder still to be pregnant and sick. We've had it all the winter... two bouts of GI issues (the whole nausea, vomiting, diarrhea bit...) as well as your typical cough, congestion, upper respiratory infections. We'll be well for maybe 1 week and then another member will start with runny nose and the cycle starts all over again. Recently, I've developed conjunctivitis... or the laymen's term, "pink eye". I haven't had this since I was a child! So far, no one else in the family has gotten it and I hope it stays that way. So the treatment for this depends on the cause. Examination of the eyes and sometimes a swab can be taken for analysis. For allergic conjunctivitis, cool compresses can help. Allergy medication and/or eye drops can be prescribed to help. 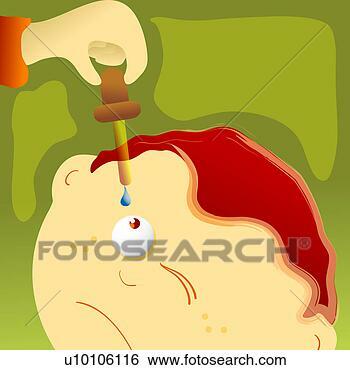 Bacterial eye drops help with bacterial causes. Viral infections should go away on its own but sometimes a mild antibiotic eye drop is prescribed to prevent bacterial infection. Warm compresses help soothe discomfort.